Since came to light the car, designers fascinated by the problem of creating a small and cheap machine. Not a toy, a car truly fit for normal use. Early attempts led to the appearance of the thumbnails. conventional cars. As a result, individual items have not been sufficiently durable. They had to enhance, weight, etc. Apparently, needed some innovative design solutions. The first among Soviet designers started their search for K. A. Sharapov. In the early twenties he, then still a student, took the theme of the graduation project “car with a small engine.” He proposed the original design caused a lot of interest Scientific automotive Institute — US, where K. Sharapov went to work after graduation. 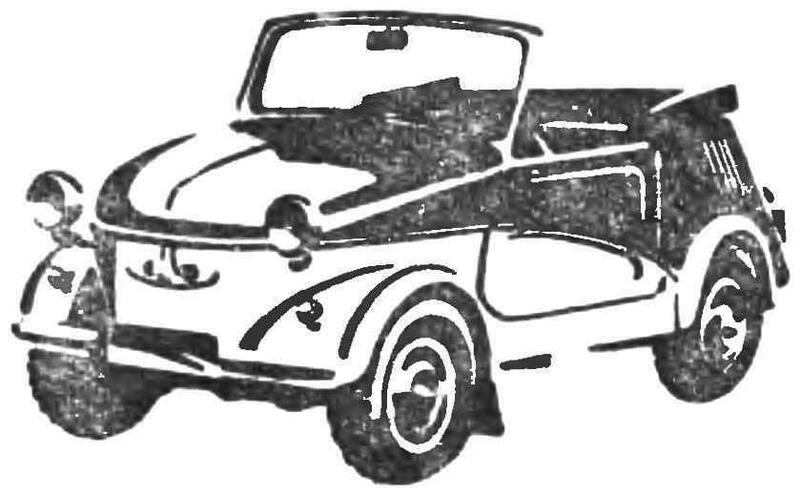 By mid-1926, the drawings of the first Soviet little micro-car was ready. The car has received index “NAMI-1”, as was the first development of the Institute, adopted for production. Traditional in those years, frame designs “CONTACT-1” has replaced the pipe with a diameter of 135 mm, which is characterized by lightness and rigidity. Its front end is attached to the engine of a motorcycle type with three-stage gearbox. Two cylinder engine, located V-shaped, cooling air that drove the fan. Operate the engine on any diesel, even low-grade. The first Soviet serial inputs to directly affect “US-1” (1028 — 1930). The prototype machine is a “NATI-2” (1932). Experimental little micro-car “Moskvich-444” (1957). 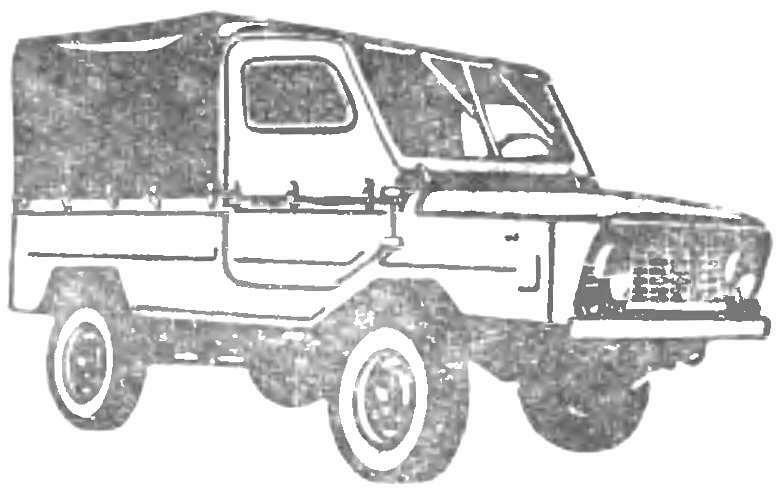 The latest model of “Zaporozhets” — “ZAZ-968A” (1974). 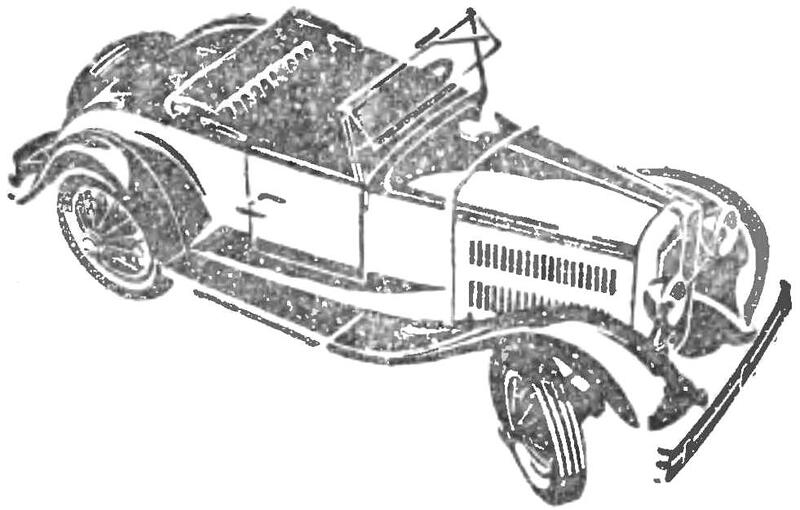 To the rear of the frame were joined by shrouds swinging axle: this type of suspension was considered very promising. The rear axle had no differential, simplify and cheapen the construction, and the inevitable tyre wear was due to the relatively small weight of a small car. Due to the lack of a differential, independent suspension of the rear wheels, the large clearance (240 mm), wheels impressive diameter (730 mm) “US-1” on cross left behind their contemporaries. One of the few surviving copies of 1929, for example, has successfully operated in heavy Siberian traffic and road conditions forty-pet! Later, the car moved from Irkutsk to US, where it was restored and now it has become an exhibit of the Polytechnic Museum. The main feature of the “US-1” — easy. For her sake, give up not only the differential but also from the starter motor, shock absorbers, front brake, buffer, fuel pump, two doors, generator, relay control, complex wiring, control devices. The fuel fed to the carburetor by gravity, for ignition served magneto energy for lighting gave the battery. In short, the “US-1” was elementary simple car, repairs of which could handle any handicraft workshop. There was no adjustment seats. But platform pedals can be moved, adjusting them to the height of the driver. Speaking of pedals. To the left of the driver was a tiny pedal incomprehensible at first sight destination. The Oia was acting on an additional oil pump that was fed to the engine (while driving) plus a portion of the lubricant. The modern motorist would be surprised if a mysterious button under the left headlight. This cellco pressed during the rotation of the crank, to submit to the primary winding of the heavy current from the battery and thereby to facilitate engine starting. But the most stunning “discovery” for today’s driver would be the lack of brakes not only on the front but on the rear wheels “US-1”. The rear brakes were directly from the main gear and acting on the wheels through the axle shaft. The role of the u-joints connecting the driveshaft to the main transmission, and therefore the brakes, performed elastic coupling with a ring of thick rubberized fabric. They, were the Achilles heel “US-1”. These couplings are the drivers called “rag”. Clutches are often rushed, and the car was left without a drive and no brakes. 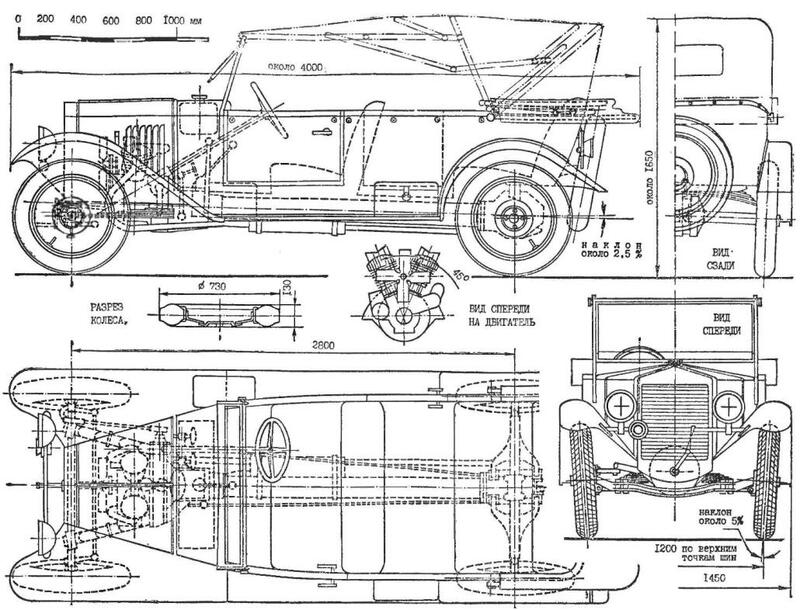 And yet, in spite of some shortcomings “US-1”, forfeit its creation and release should be considered as the first good fortune of the Soviet automotive design school. But where to build an unusual car? In addition to AMO and EASA, while in the USSR there were no factories. The choice fell on the company “Spartak” is in the center of Moscow, near the coach house range. This neighborhood, by the way, was not accidental. After all “Spartak” has grown out of the old carriage and automobile repair shops where, in 1912, conducted build cars “Russo-Buir”. Birthday “US-1” began on may 4, 1927, when the shop rolled just finished the chassis of the machine. Several prototypes took part in the test runs, after which the vehicle had made some improvements. 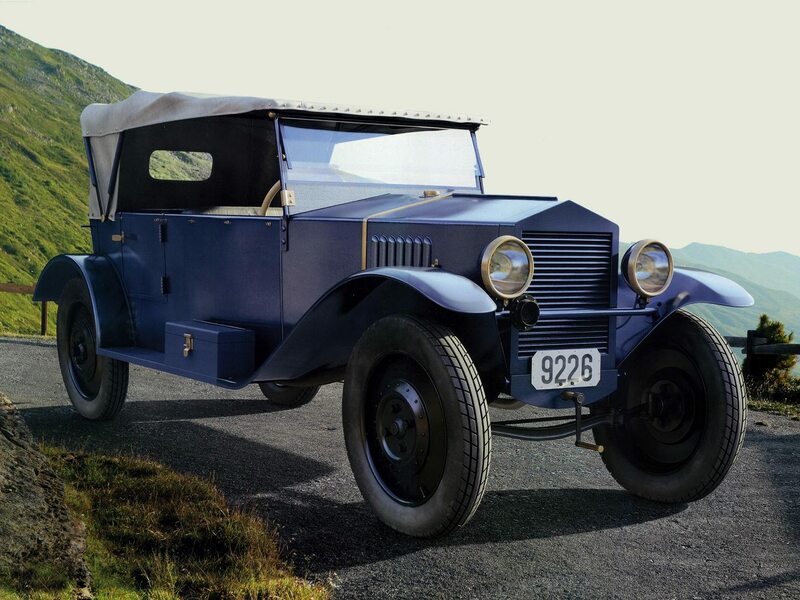 In the autumn of 1928 began serial production of “US-1”. In total before 1930 were built 512 machines. While there was a release, a team of designers, headed by K. Sharapov, designed the second, more advanced model. She was referred to as “NATI-2” (as the Institute in 1932, was renamed to automotive — NATI). The new model has inherited from its predecessor, it features the best design, but received a more powerful 4-cylinder engine, comfortable body, brakes on all wheels. A pilot batch of these vehicles in November of 1932 were shown in Moscow during the celebration of the 15th anniversary of the October revolution. But due to the lack of appropriate industrial base to start serial production of “NATI-2” failed. Production of vehicles with small-displacement engine in our country resumed in 1940 at the plant named KIM, who since 1947 was called MZMA. However, about the “Muscovites” it is yet to come. So let’s continue the story of the micro cars. It would be incomplete, if to keep silent about microcar. At first it was a double three-wheeled car (model “С1Л”) with a motorcycle engine capacity of only 4 HP was manufactured in Serpukhov. Since 1958 the microcar, having a fourth wheel and twice the engine power (model “С3А”), was, in fact, a two-seater car, which has been continuously improved and in 1971 gave way to a new model of “С3Д”. She has closed body, a heater, hydraulic brakes, increased engine power and rate. Of course, a scooter, being a specialized kind of car, cannot claim the role of mass transport vehicles. However, the design “С3А” and “С3Д” contains a grain of truth. A motorcycle type engine and gearbox combined in a single unit, are placed behind and take up little space. Air cooling eliminates concern about draining in the winter, simpler and easier to design. Small wheels make the machine compact. All these features are embodied in several experimental cars developed jointly by US (the Institute returned to its former name in 1946), Irbit and serpuhovskiy motozavod in the fifties. Following these constructions, the Moscow plant of small cars has developed a prototype of the first model for the Zaporozhye plant “Kommunar”. This model also had rear-mounted power unit and all wheel independent suspension. Prototype (model “Moskvich-444”) established a two-cylinder air-cooled engine Irbitsky factory. But it was not durable. On it was replaced by a four-cylinder engine (again, with air cooling, developed in the US). 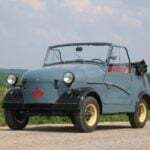 In 1940, in Zaporozhye, on the former combine plant started serial production of micro-car, only that in the final version received the well-known index of “ZAZ-965”. 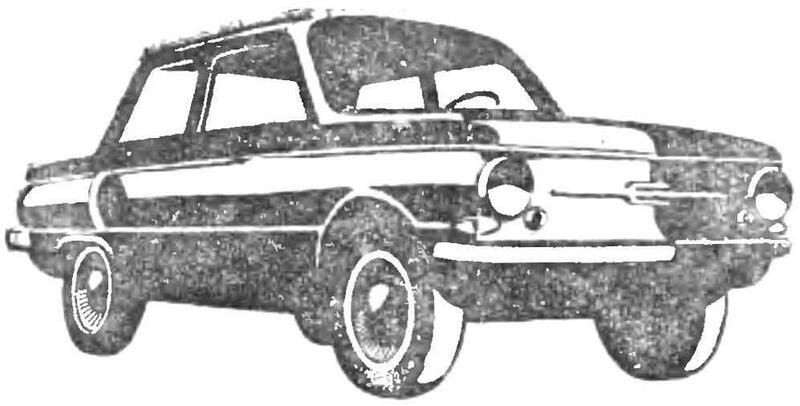 In 1963, after modernization (in particular, was increased to 27 PS engine power] machine was called “ZAZ-945A”. This was followed in 1966, the brand new model of “ZAZ-966В” with a 30-horsepower engine, improved suspension and a more modern body, which (along with the later, 45-sipe-tion model “ZAZ-948”, which I mastered in 1971) is available today. 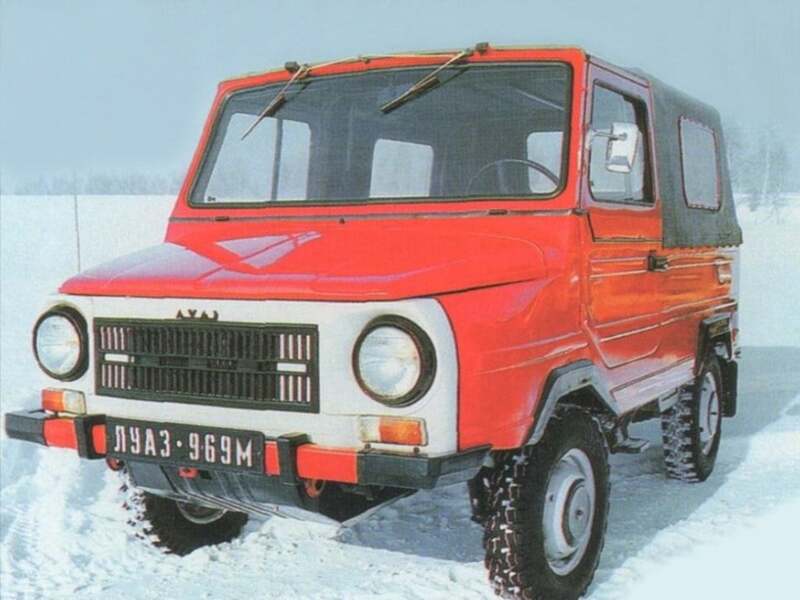 In 1970, the Lutsk automobile plant has started construction mikroavtobusy “LUAZ-949” terrain designed Zaporizhia designers on the basis of units “ZAZ-944В”. 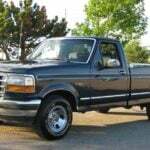 It is characterized very pronounced forward engine, the all-wheel drive, independent suspension they built and wheel gearboxes. Cars micro cars, ATVs, motorized racing… Yes, racing. We lost sight of them, but “US-1”, equipped with a two-seater sports body, forty-odd years ago started racing. However, it was the only copy. Serial production of micro cars racing began in 1941 Tallinn car repair plant. They were intended for circuit racing. The first production model of the “Estonia-3” with uprated engines from the Irbit motorcycle plant was issued in the amount of 34 pieces. Modern model of the “Estonia-15” and “Estonia-15M” with uprated engine from a motorcycle “IZH-Jupiter” are more numerous: to the present time the plant was built about two hundred of these racing cars. What unites all these seemingly disparate machines! Small size, maximum simplicity, low weight, air-cooled engine, independent wheel suspension. 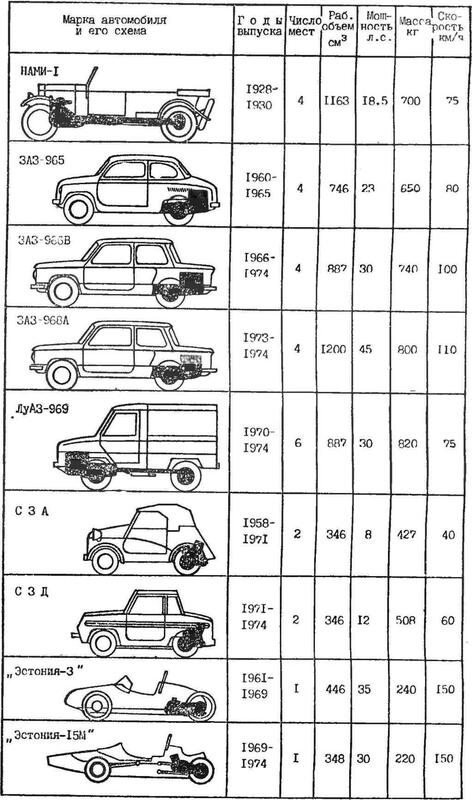 These are the signs of kinship to the large family of Soviet micro cars and sidecars, leading descended from the “US-1”. 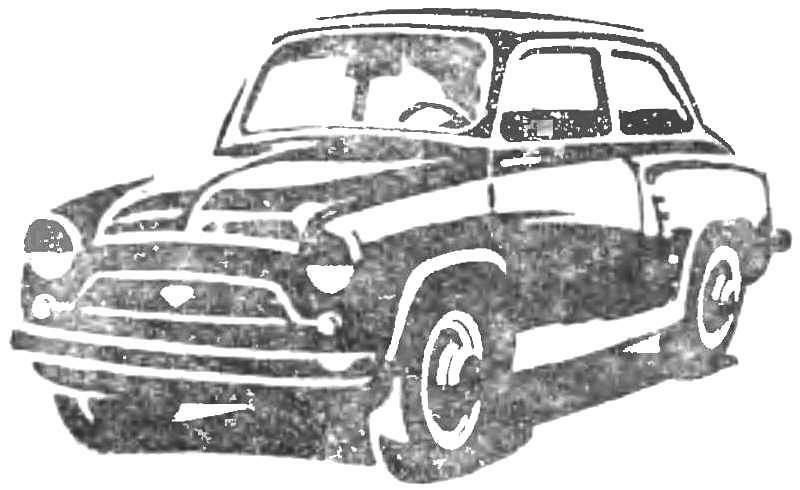 In illustrations to articles on the history of the domestic automotive industry machine “US-1” is found in two types, is markedly different. In one case, photographed the prototype, another — a car of serial production. Our drawings and picture on the tab show the serial model. 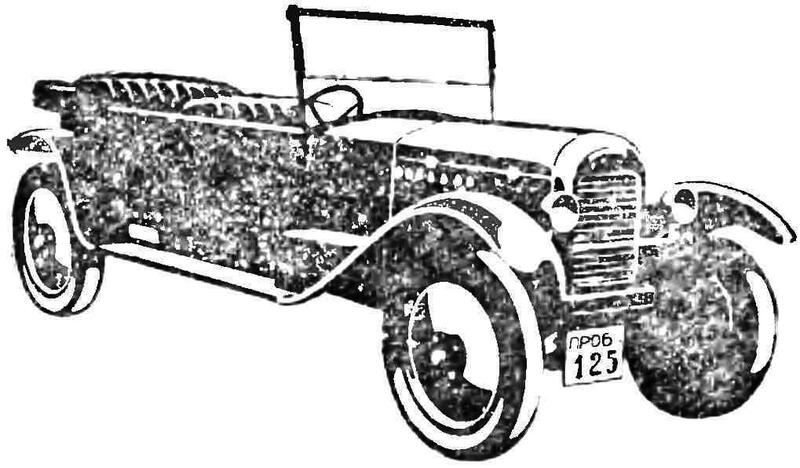 Experienced mostly the same mechanical parts, but the external shape is more rounded: bulging fenders, a sloping Nickel plated radiator (we took the word in quotation marks, since the cooling of the engine “US-1” was air, and this radiator was not), cylindrical in anterior part and gradually erectile to the windshield surface of the hood, curved stand glass picture frames. Vary the style seat covers: solid production models, “bars” you have, rims (see picture in text), door handles that test model was only internal and door opening need to reach out inside of the body. Generally, the appearance of “US-1” so simple and strict that there is no need to describe it in detail. Note Modeler only to the following details: RHD; no stamps on the “radiator”; the rising windscreen; wooden pegs; the presence of only one door on the left (the front seat) and left side (rear seat), painted in body color radiator and the frame of the windshield: out in front of the launcher arm; rear light; no control devices on the dashboard (only the electrical switch, the button of “suction”, arm plugs, and a “permanent gas”); the petrol tap and the oil pump under the shield; a noticeable slope (“collapse”) of the front and especially the rear wheels due to the use of swinging on a single hinge rod of the rear axle. A typical machine color blue or brown body, black wings, chassis parts, drawers on the foot pegs, headlight housings and trim, dark gray tent. Front, from under the “radiator”, clearly visible beam axis, the ends of the springs, rods and the crankcase. Brakes on wheels not. For the Modeler who would like to show your machine, the drawing dashed their sketchy outlines. The main chassis is moving in the middle of the round pipe-beam, the flanges of which are mounted front — engine transmission and rear crank main gear. Engine two-cylinder, V-type, air cooling fins, with the prisoner in a casing 4-blade fan in the front, power devices and ignition — rear of the engine. Fuel tank located in front of the windscreen (as evidenced by protruding outside the mouth), the fuel feed is gravity. Front springs 1/4 — elliptic, the so-called “polyaniline” rear leaf spring — one, cross. Rear wheel swinging on a tubular plug, through which pass the axle shaft. Brake drums installed on the wheels and the output rollers, the main transmission and the drive pedal acts only on the right drum, and the drive from the hand lever to the left. In both cases, inhibited both rear wheels as the differential in the rear axle is missing. The brake rod through the sides of the tube beam. The pedals are mounted on the shaft emerging from the clutch housing. A curious detail: the accelerator pedal is located between the pedals clutch and brake, not the right, as on modern cars. The body is attached to the pipe-beam with two cross members: front gear housing, rear — over spring. On the right side the box with the battery, on the left side with the tool.